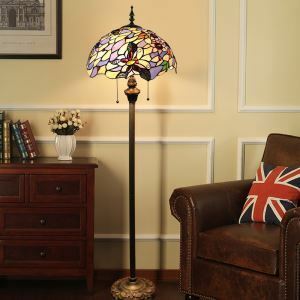 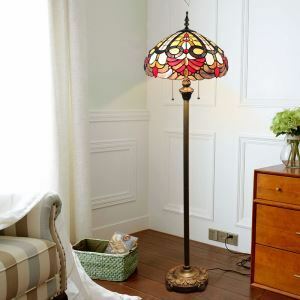 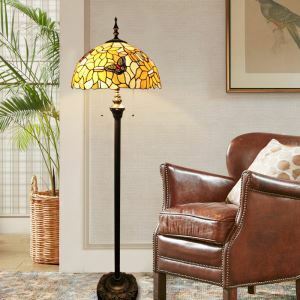 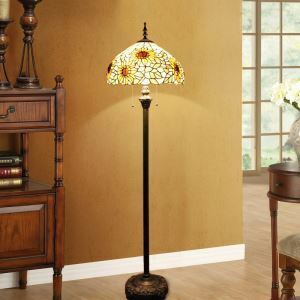 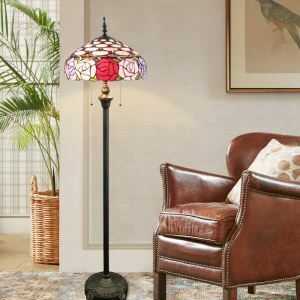 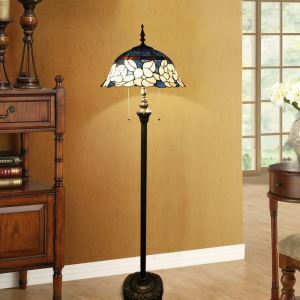 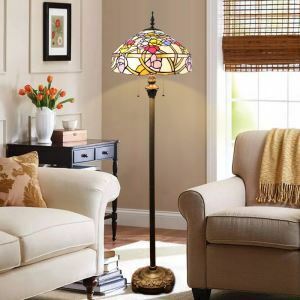 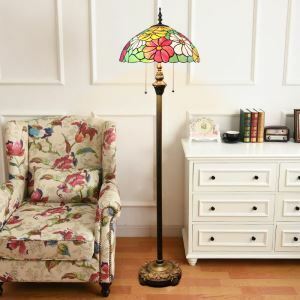 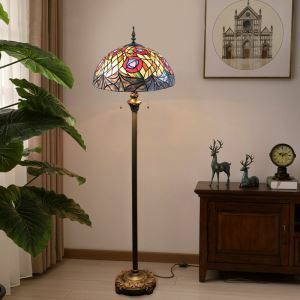 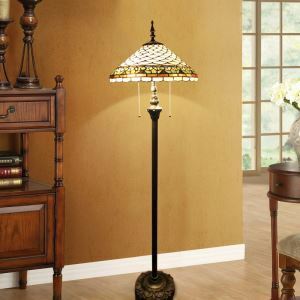 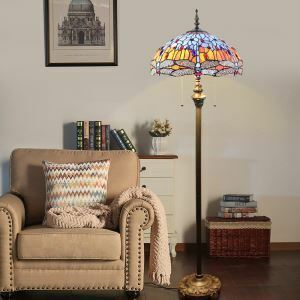 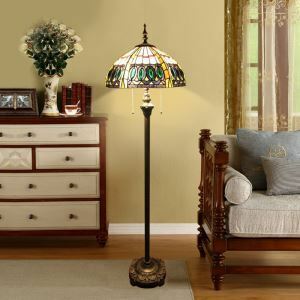 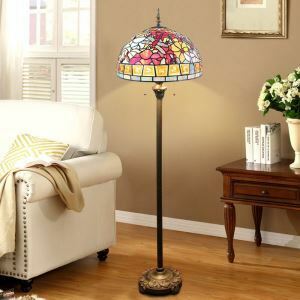 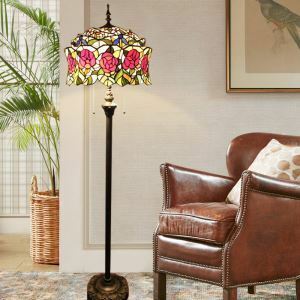 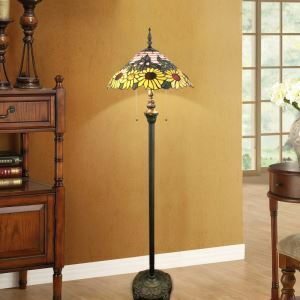 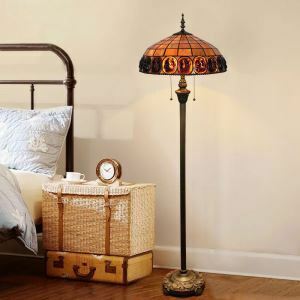 Antique tiffany floor lamp. 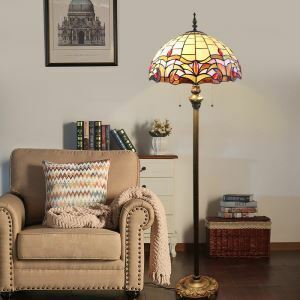 The creation of a glass lampshade began with a color sketch on paper of the lamp design. 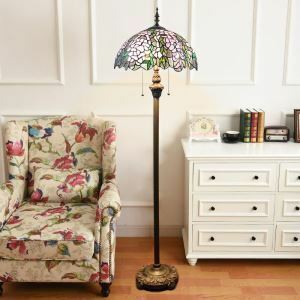 Next, the design was copied using pencil, watercolor, and paint onto a plaster form in the shape of the shade so that it could be assessed as a three-dimensional object. Patterns for each individual piece of glass that made up the shade were created using the design on this mold, and the glass shade was assembled on it.The whole tiffant shade production process is handmade.